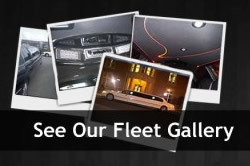 Celebrate your wedding with Crystal Limo’s luxurious fleet of transport vehicles. We know that your wedding is a special day and deserves special attention. With Crystal Limo you’ll have the most complete and well-prepared bridal service possible for your special day. We treat our brides and grooms in the most graceful manner. Vehicles include Luxury Sedans, White Stretch Limousines, and SUV. To make your wedding day extra special, please complete the form below or contact us. To ensure availability, a 1-month advance booking is recommended; 50% deposit required. *Rates cover HRM area, contact us for pricing details outside HRM. * Cleaning fee $65.00. (Stretch Limo only). All bookings include a free one bottle of champagne. Wedding packages include a “Just Married” sign. Two Bottles of Champagne With five Star Clean Class. FREE 2-Way Airport Trip included. One Way Trip to and from Airport. We’ve built our reputation on wedding and special occasions, let us make your special event one to remember! Call us today. To confirm booking: We prefer a 1-month advance booking and 50% deposit required. Late Cancellation: Two-week advance notice results in 15% deposit refund.